Hello, dear readers! 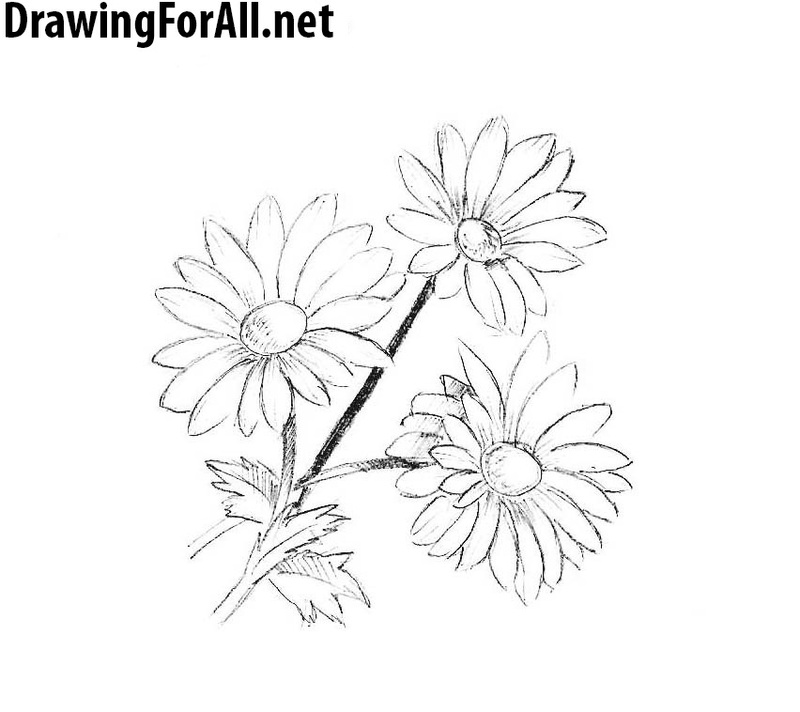 Today we have prepared for you a new drawing tutorial, which will learn you to draw flowers. As you can see, the lesson contains a total of five stages, that very little by the standards of our site. 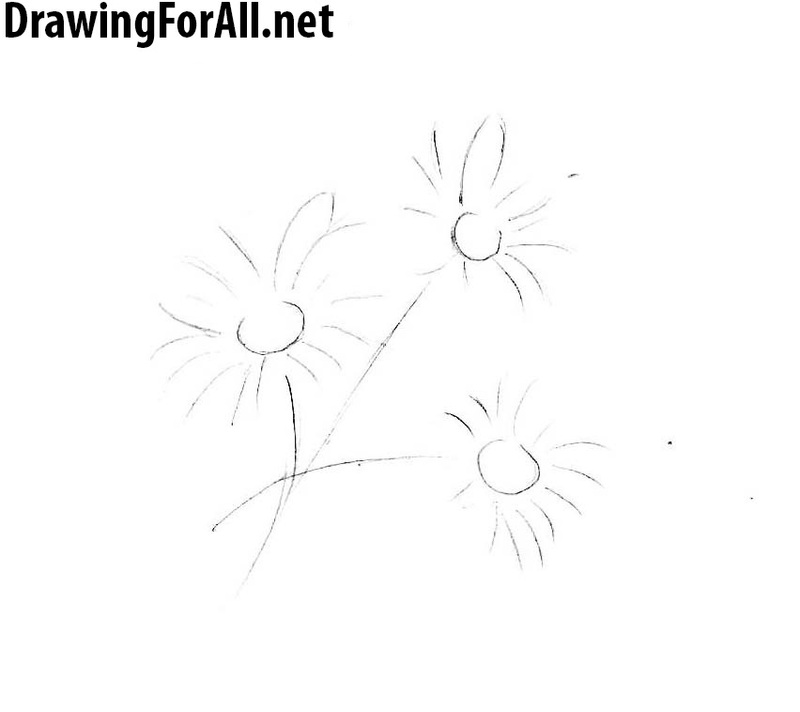 You don’t need to have any special skills to draw a flower. In the last stage we put shadows, but it will be quite easy. 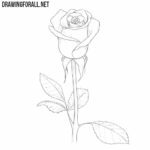 If you could not draw a rose or any other complex drawing from our website at first attempt, then this drawing you will be able to draw the first attempt. 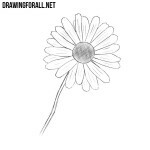 By the way, I forgot to mention that today we draw a daisy. 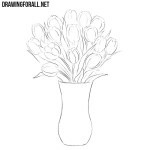 So, let’s start the lesson and learn how to draw flowers! Draw three of the stem, and three small circles on their top tips. In this step we use very light lines and strokes. 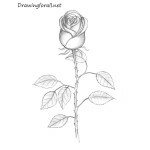 Now outline the petals, they are very long and slightly narrowed to the edge. Note that the petals should not be perfectly the same size. In this step, you only deal with petals. Circle the lines of the petals, giving them finished view. 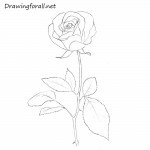 In this step of drawing lesson on how to draw a flower we draw stems. Their contours should be slightly uneven. At the bottom of the stems draw three leaves with serrated edges. Here we add shadows. First, paint the stems of flowers, which is located in the middle. 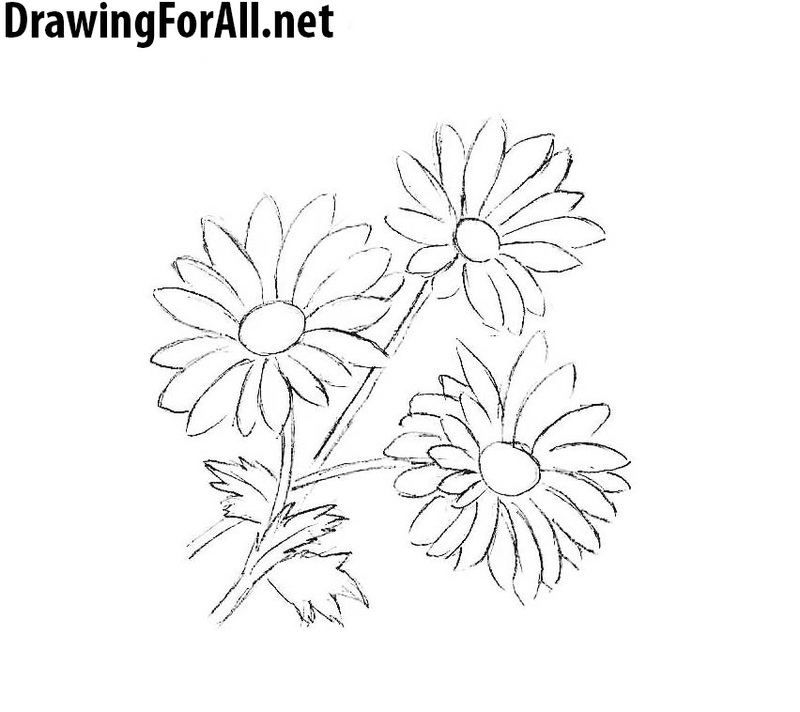 Then using short strokes add shadows to the core of our daisies. And at the end add small shadows on the petals. Shadows on these parts of the flower are mainly concentrated near the center. 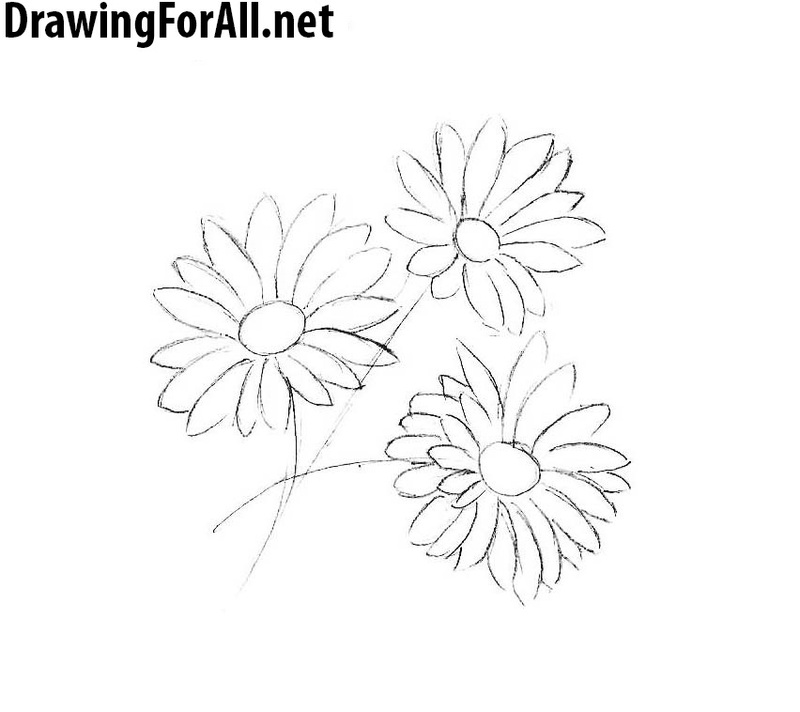 It was a lesson in which we told you about how to draw flowers (to be more precise, how to draw daisy). This lesson, as all other lessons, was prepared for You by the artists of drawingforall. Go to our groups in FaceBook, GooglePlus, Pinterest to be aware of announcements about new drawing lessons. Do not forget to subscribe to us in these social networks, because the more of you in our social networks, the more drawing lessons we will draw.